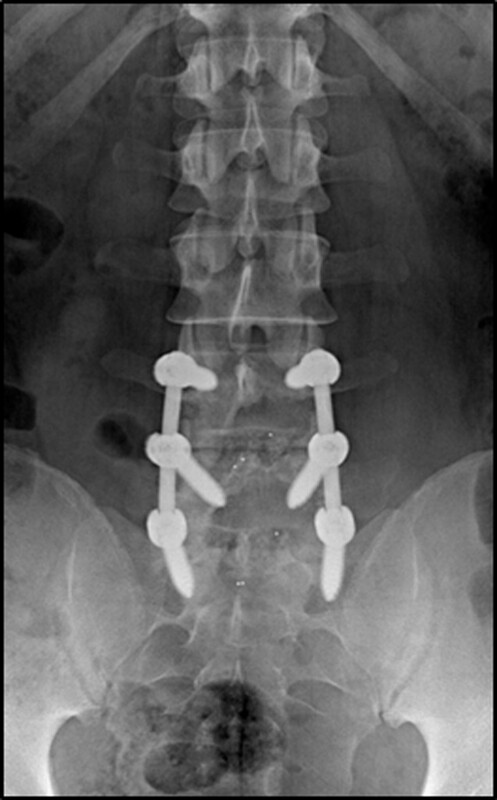 A spinal fusion involving the cervical, thoracic, or lumbar spine may be indicated for a variety of reasons, either with or without a decompressive procedure (see “cervical, thoracic, and lumbar decompression” section above). The basic goal of a fusion is to eliminate motion between 2 or more vertebrae and mend them together into one solid segment. 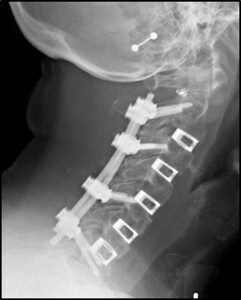 Common reasons for a fusion procedure include instability of one or more motion segments (typically either from trauma or a degenerated, arthritic spine), pain emanating from one or more motion segments (typically from arthritis or disc degeneration), or a spinal misalignment requiring correction. Most fusion procedures require the placement of instrumentation. 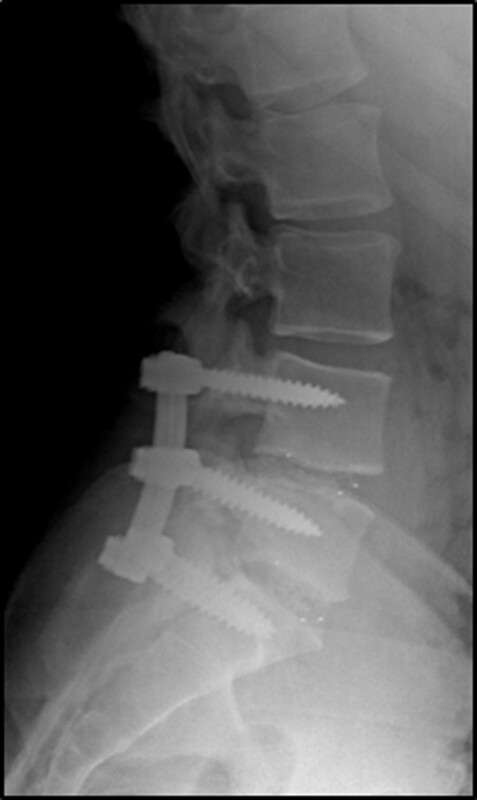 Specifically, this often involves screws, rods, and/or plates to hold the vertebrae in place while your blood vessels bring in the appropriate nutrients needed for a fusion to occur. Once the bones have successfully fused (typically after 6-12 months), the instrumentation no longer is needed, but is commonly left in place. To help optimize your comfort and healing after surgery, temporary restrictions would be needed following surgery. The duration and extent of your restrictions will depend on your condition and type of surgery being performed. If surgery were ultimately decided upon, our board-certified spine specialist at Guilford Orthopaedic and Sports Medicine Center, Dr. Mark Dumonski, will discuss in detail the specifics of the surgery, as well as the associated risks, alternatives, and the expected recovery time. Questions are always encouraged, and if additional questions were to arise after your office visit, please call the office. A return call from either Dr. Dumonski, his physician assistant Kayla, or one of his medical assistants can be expected within 24 hours of your call.